The PDF data sheet can be found on the Accurail Prototype Data page, along with similar files Ray created for the 36-foot box cars Accurail has produced. 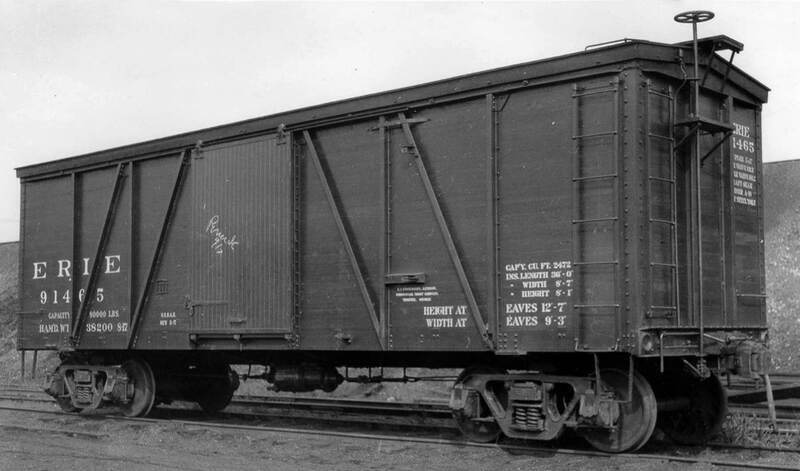 These data sheets are presented as resources to assist modelers in understanding box car design evolution as they create their freight car fleets. A growing community of Pre-Depression Era railroad modelers are very thankful Accurail is developing these exciting models. Prototype cars were in service from 1905 to 1960, with many cars soldiering along to the early 1980s. Modelers focusing on the 1930-1960 years can now easily add another interesting short box car to their freight car fleets. Thanks for this info and your continuing efforts to provide us 1920-30s modelers with good prototype info! This is extremely useful. Thank you for putting the work into this.